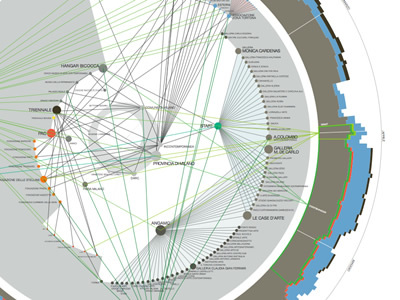 A group of students at Politecnico di Milano has developed a stunning map featuring the inner workings of the vast Contemporary Art system of Milan. This work was featured in the ever-so-interesting site Density Design, which is also run by students of the Politecnico (if only the content was in english). 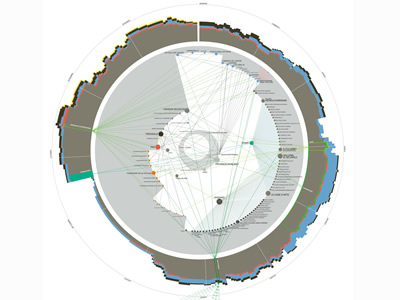 The map represents the workings of the system through relationships between different actors involved at various levels, and introduces a calendar of events and exhibits for the year 2006. Through this, it's possible to determine a causality between events and an increment in relationships.